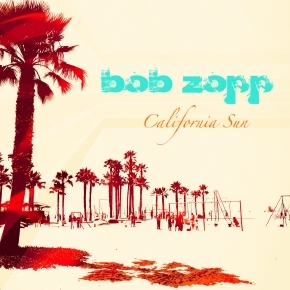 California Sun is Bob Zopp’s debut release on Lemongrassmusic. The 5 tracks on this EP are all about and around summer – the warmth, the sun, the beach, the skates, boards & bikes rolling up and down the Strand – it’s a way of life on the Southern California beaches. The title track, “California Sun”, sets the mood for a sunny day at the beach, an especially good time if you can share it with our favorite “Island Girl”! Let the sand get between your toes during one of those famous pink filled summer skies during “Pink Toes”. The next day is full of good times when you hang out at the pier, grab some tacos, and sit back and watch the people parade by – all in a typical day in “Summer on the Strand”. As the weekend slows down and the late afternoon sun begins to fade, you’ll be set to relax with the blissed out feelings of “Dubby Day”. So grab a Pina Colada, put on those sunglasses and soak up the lounge & chilled out vibes of this summer drenched EP from LA’s own Bob Zopp.